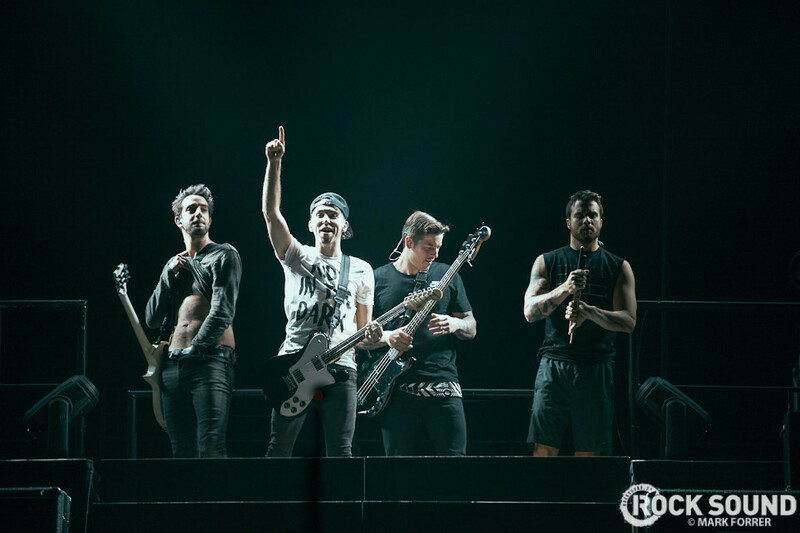 In addition to Blink-182 (acoustic), A Day To Remember and Asking Alexandria, All Time Low, Neck Deep and Twin Atlantic will also perform at the Radio 1 Rock All Dayer. The bands announced the news on Twitter. 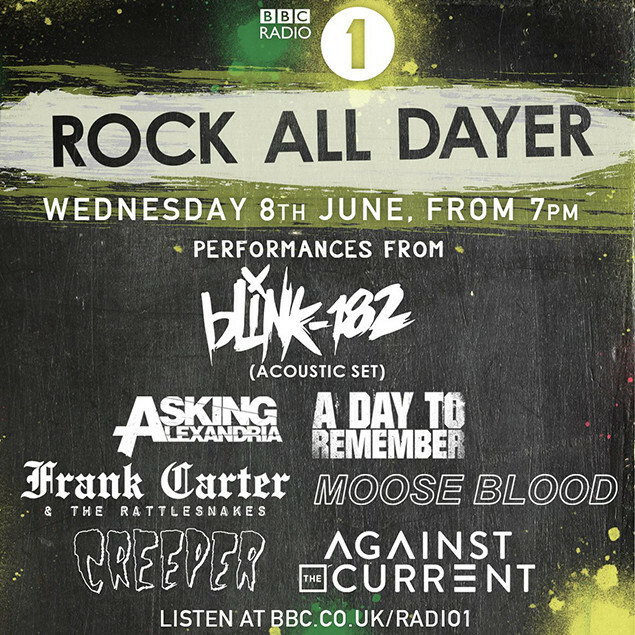 Just announced we’re playing with an ace line-up for the @BBCR1 Rock All Dayer on June 8th. Listen to @scott_mills for our live tracks!! Just announced: we’re playing with an A++ line-up for the @BBCR1 Rock All Dayer on June 8th. Tune in to @gregjames for our live tracks! Also appearing at London's Maida Vale Studios next week are are Moose Blood, Frank Carter & The Rattlesnakes, Creeper and Against The Current. The BBC is giving away 40 pairs of tickets to the show - which takes place on Wednesday, June 08 - right here.